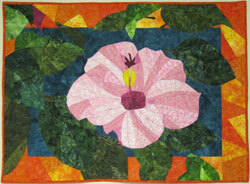 Rouge Valley Quilters' Guild: Lisette Wins McCall's Quilt Design Star! Our own Lisette Leveille, a new member at Rouge Valley Quilters' Guild, has just been named the Grand Prize Winner in the Amateur category of the McCall's Quilt Design Star 2012 competition. Please scroll down or click through to read about my chat with Lisette and see all four quilts that she entered in the competition. "Martinique" was the result of a December 2011 class that Lisette took at Art of Fabric in Pickering. The class was taught by Helen Garland, and is based on the techniques of Ruth McDowell. Lisette entered the quilt in the competition in April 2012, so everything has gone very quickly since then! You can see the required block right at the centre in black and white, and repeated around the edges in eight rainbow colours. Here the required paisley fabric is in the chequerboard ground, the rays in the sky, and many of the appliques too! Lisette has also used a foil for some of the trim on the car. While the first two rounds were quilt tops only (and are still in Lisette's pile of PhDs), this final quilt was required to be quilted, finished and sent off to the McCall's offices for judging. Lisette says that sending her quilt away was the most difficult part of the contest! I have a feeling she will not completely relax until it is home again. 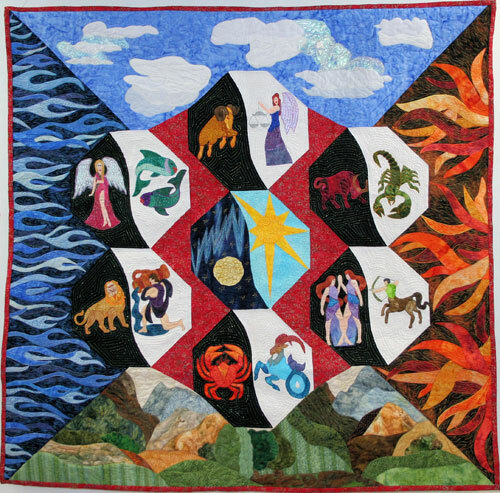 Many of us were lucky enough to see this quilt at the September Show & Tell. Lisette has promised to bring it back again to the November meeting so we can see it up close, along with her qualifying quilt Martinique. She hopes to bring the other two to future meetings, as they are completed. To celebrate the win, Lisette and her husband shared some "bubbly" on Tuesday night. 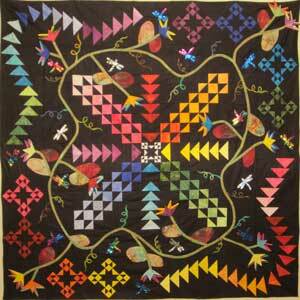 This weekend the celebrations will continue when two of her three sisters, who are all quilters, come to visit. Lisette says she and her sisters all have different quilting styles, and they keep each other inspired and challenged with a steady stream of quilted Christmas gifts. 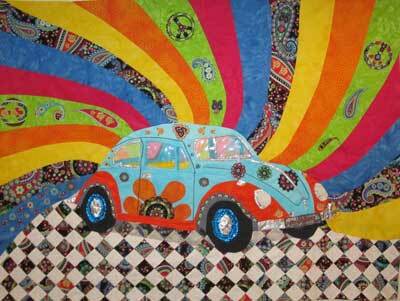 Lisette's next challenge will be a couple of quilts which she has been commissioned to design and make. In the future she plans to produce some patterns for sale. She also has a busy teaching schedule at Art of Fabric, in addition to a full time job! You can find Lisette here on Facebook. Her full bio on the McCall's website is here, and all the details about the Quilt Design Star challenge are here. Congratulations again to Lisette! 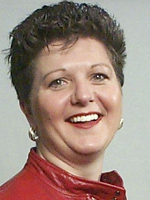 We are all thrilled to see one of our own local quilters win a North-America wide competition!